When it comes to nose jobs, there are several alternatives that await you. To make the right choice, you must make sure that you know the pros and cons of the various options. People usually make the choice depending upon their financial affordability. Here is a brief analysis of the different options you have when it comes to nose jobs. Pros: The effect of rhynoplasty is intended to be permanent. Cons: A typical rhynopasty surgery costs around $10,000. Given the current financial crunch everyone’s facing, this can be afforded only by celebrities and other high income citizens. Rhynoplasty once done, cannot be undone, hence the risk of irreversible error is high. The complete recovery time for a surgery is at least a year – common side effects of rhynoplasty include bruises, sinusitis and swelling. Also, the operated nose will be subject to the effects of aging as you grow older. Pros: Rhynoplasty done outside the U.S will cost you significantly lesser. Even with the added travelling costs, you’ll save up to 50% of what rhynoplasty in the U.S costs. Cons: Along with the usual drawbacks of rhynoplasty, a foreign surgery has added disadvantages. Post surgery visits to the surgeon are as important as the surgery itself. 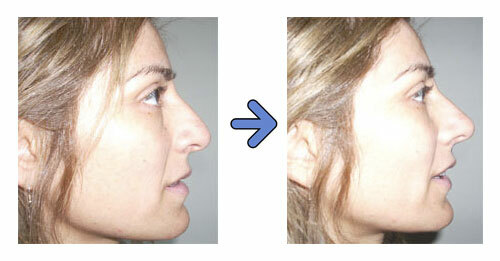 These visits ensure that the operated nose is maturing in the correct way. A tourist nose job may make follow up visits complicated with the US doctors instead of the original surgeon. Pros: Non surgical rhynoplasty costs less than regular rhynoplasty – $500 to $2000. Also, its temporary nature allows you to easily get rid of it if you don’t like it. Cons: Although it costs almost 10% of what you pay for a permanent nose job, the effect wears off in around 6 months. The materials injected to ‘fill up’ your nose may not be FDA approved and can be harmful in the long run. Side effects include soreness and inflammation. Pros: It is as quick as a nose job can possibly be. Insert NoseSecret splints into your nose and you’re done. Since it is a non surgical method, it is non invasive. Hence, you can always opt out. Also, there is no recovery process hence, you don’t have to miss out on work, or any other social gatherings. Most importantly, it is friendly to your pocket. There is no other nose job that costs you as low as $30. Cons: Its temporary nature means you’ll have to keep using it every day. Also, the results are not as drastic as those of surgical rhynoplasty. Previous PostCelebs Sport NoseSecretNext PostNoseSecret is extending its 20% OFF offer!